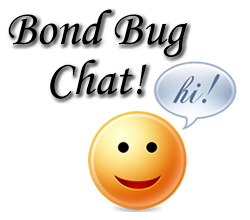 Welcome to BugVille, on this site are pictures from rallies attended and various shows attended, Bond Bug Spares Scheme are also linked into this site, please feel free to browse around, any problems just drop a line, my email is on the contact page.. So Yet again its been about a year since I've uploaded new content, I promise to keep this site updated more often in the future. I have revamped the styling a little and added 2016 pictures to the gallery, I have also adjusted the picture size to suit better quality but keep size down for phone browsing. I will try to get the old pictures increased in size aswell, however this will take a while so bare with me! Bug National pictures are now online! !! !Some picture albums are heavily populated!! !